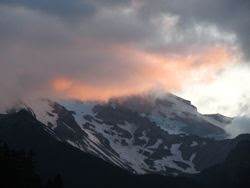 Just south of the wildly popular Crane Mountain lie two quiet ponds that are easily reached by short walks. 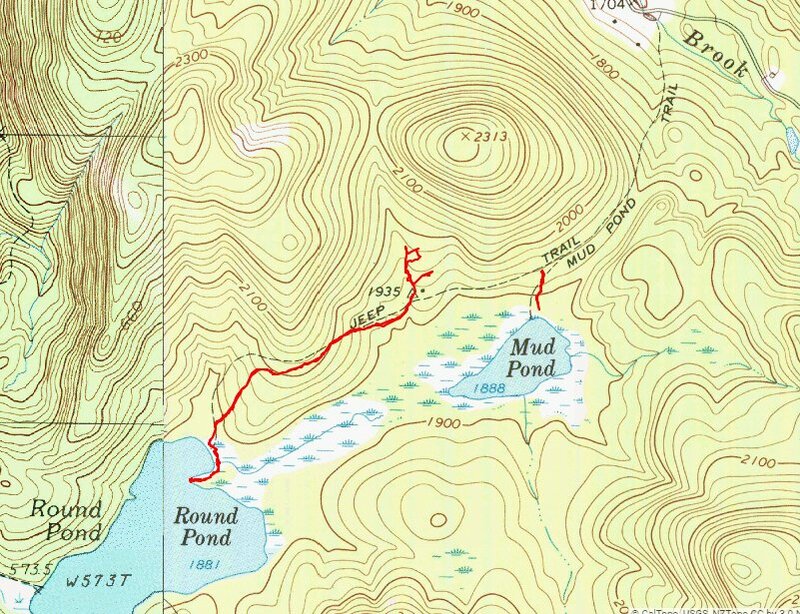 Round Pond is a 0.6 mile walk and Mud Pond is a 0.25 mile walk. 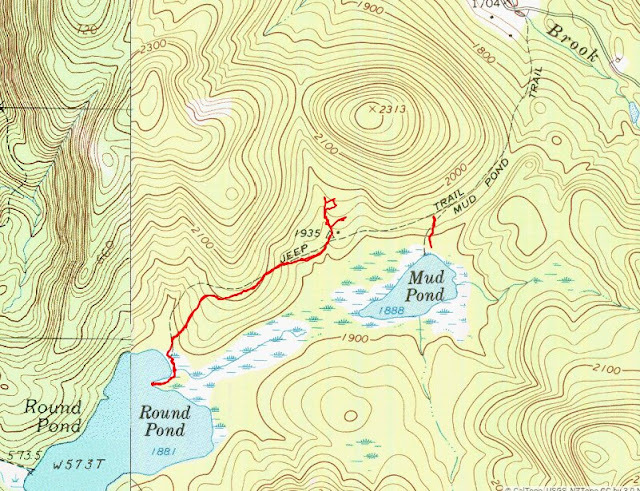 Access to the trailheads to these ponds is from Mud Pond Road (which is called Mud Pond Trail on some maps). Most visitors to these ponds are probably intent on fishing. 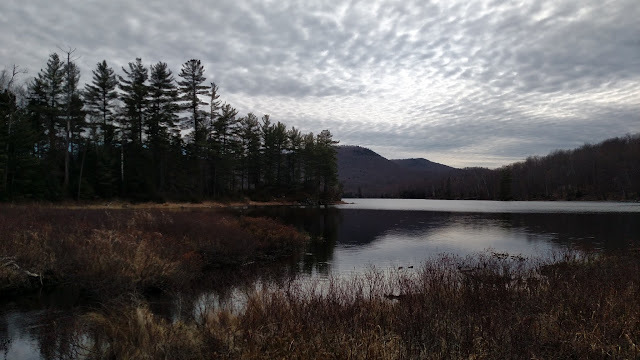 Crane Mountain from Little Pond on the drive in. Mud Pond Road has no street sign, but it's the only road in the area. It terminates at the site of an old farmhouse, long since removed. A keen eye will find evidence of an old homestead: remnants of foundations, a well house, rhododendrons, daffodils, apple trees. This area boasts nice possible campsites that would be greater than the required 150' distance from trail, parking or water. Blue skies constrast nicely with the white birch. A great spot for a campsite. Site of the old farmhouse. Rev checking out the beaver dam en route to Round Pond. 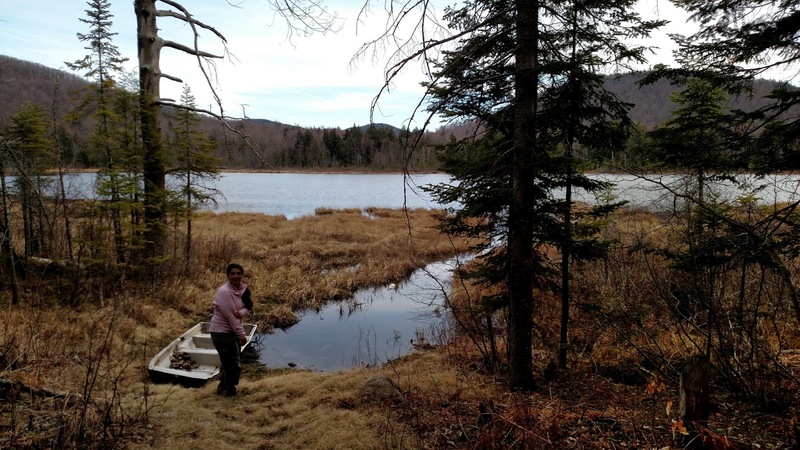 Leesa enhancing the little beaver dam so she could cross. 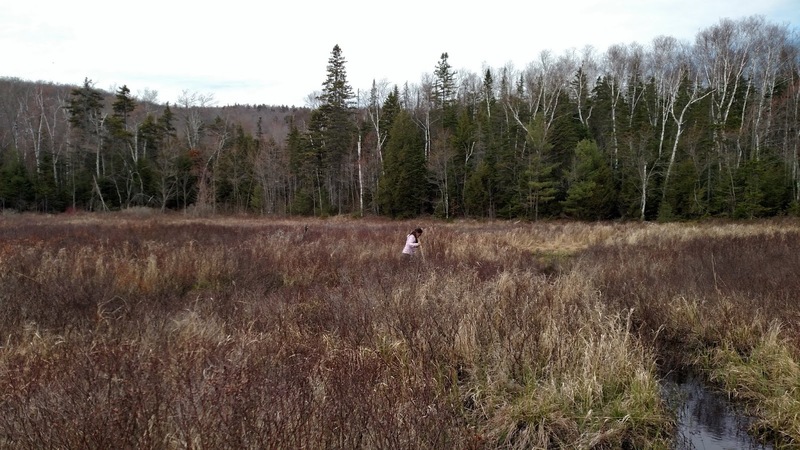 Once at Round Pond, we were determined to get to the peninsula on the east side of the pond known as Stony Point. We had to cross a marsh and a couple beaver dams but we made it. 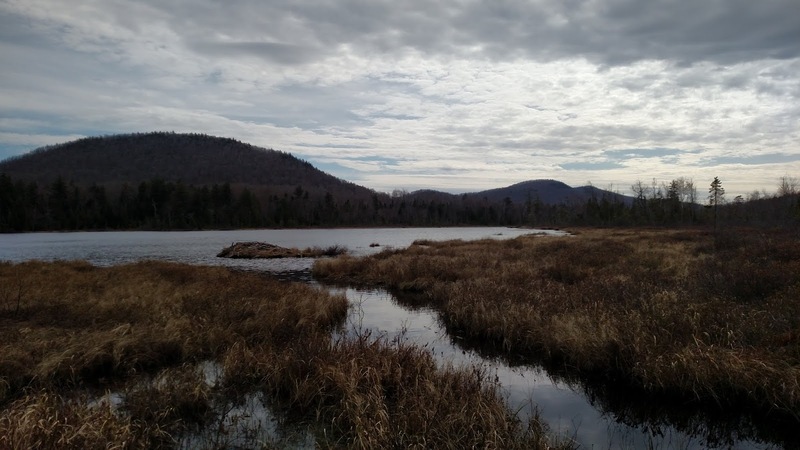 The Discover the dirondacks - Southern Adirondacks talks about the history of this penisnsula. Wolf Pond Mountain from Stony Point. WPM will be a future exploration. Clouds were moving in as predicted and it gave some interesting skies on the way out. Stony Point on Round Pond with Bearpen Peak in the background. Back at the car, we drove partially back out Mud Pond Road to the Mud Pond trailhead and followed the trail downhill a quarter mile to Mud Pond where we saw 4 loons swimming near a beaver lodge in the pond. In the future, I'll be coming back to this area to climb some of the surrounding mountains, Cherry Ridge, Wolf Pond Mountain and Bearpen Peak. A rowboat at Mud Pond. 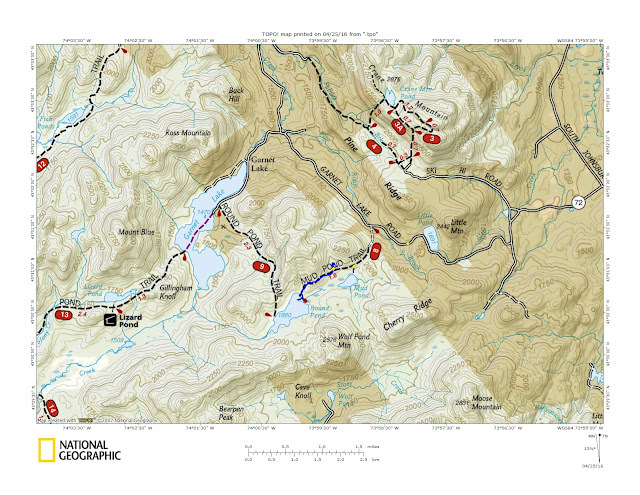 The route and surrounding area on the Nat Geo map.